The population of the north-east fell last year after more than 20,000 people moved away and far fewer arrived to make the region their home. Statistics from the National Records of Scotland (NRS) show that 12,750 people quit Aberdeen between mid-2016 and mid-2017, but only 11,334 people moved to the city. It left a negative net migration level of -1,416 – by far the largest in Scotland – and meant that Aberdeen’s total population fell by 1,040 to 228,800, despite births outstripping deaths. 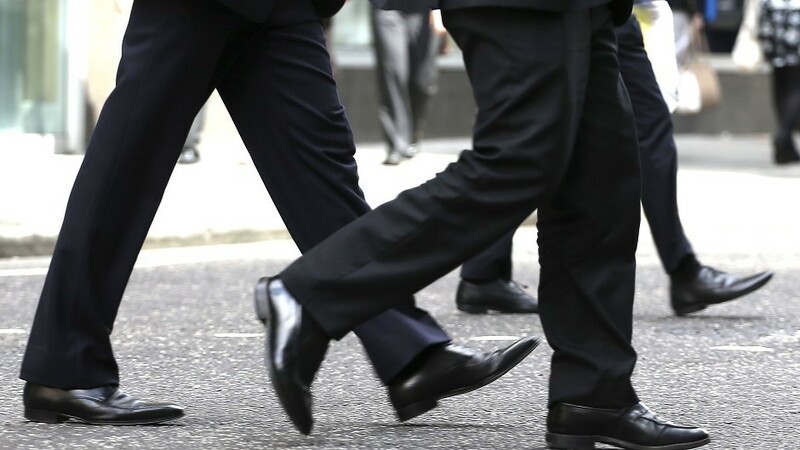 Aberdeenshire was one of only three other areas which also witnessed more people moving away than arriving, with the figures showing 7,910 people left and a net migration level of -688 was recorded. The period covers the year after the Brexit referendum, and was before the North Sea oil and gas sector began to bounce back from its slump. Aberdeenshire’s overall population fell by 390 in the year, because there were more births than deaths to offset the impact of negative migration levels, while Shetland’s decreased by 120, and Moray’s declined by 290. Despite slowing down, inward migration in other parts of the country enabled Scotland’s total population to hit a record 5,424,800, having risen in every year since 2000, including by 0.4% last year. 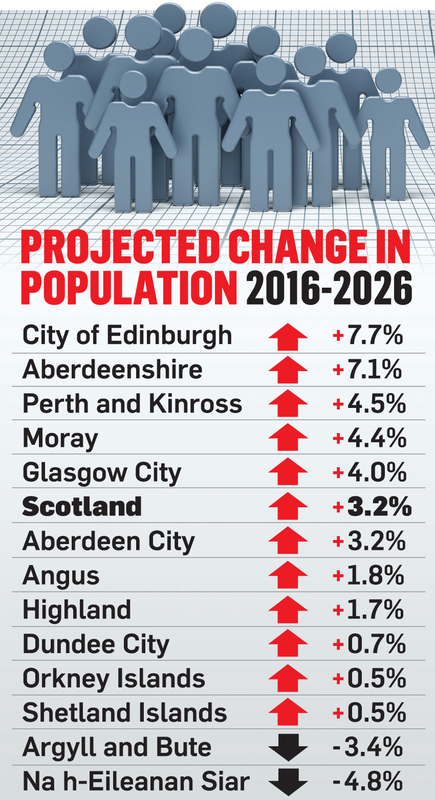 The population of the north-east was expected to bounce back over the next decade, however, with Aberdeenshire’s projected to rise by 7.1% by 2026, Moray expected to increase by 4.4%, and Aberdeen City due to rise in line with the Scottish average of 3.2%. Laura Grant, communications lead at Aberdeen and Grampian Chamber of Commerce, said: “People are the powerhouse for any successful city region. The figures also show that the Western Isles is facing a 4.8% drop in its population by 2026, the largest in Scotland, with Argyll and Bute also due to fall by 3.4%. Meanwhile, below-average increases are expected in several areas, including of 0.2% in Shetland, 0.5% in Orkney, and 1.7% in Highland.